Moving is stressful, no matter how many times you’ve done it. If it’s stressful for those of us who are somewhat used to it, imagine the impact on our pets. To help make moving easier on your animals, whether it's an overseas or stateside PCS, preparation is key! Will you drive or fly? If you're flying, realize that some airlines won’t ship pets during the summer months. Check with your specific airline and make arrangements if your pet will need to travel separately from you. Others have arranged for climate controlled cargo areas. If your pet will travel via air, begin crate training now, if you haven’t already, to prepare for the trip (note that your crate will need to be airline-approved). You may be eligible to fly your pet via military transport. If you’re planning to drive to your new locale and your pet isn’t accustomed to car rides, begin taking them on short car rides to acclimate. A crate can be invaluable for driving as well, giving the pet its own space during the trip. Though I’ve never personally used one, you may want to consider companies specializing in pet-shipping services. Contact your veterinarian ASAP. You’ll need to ensure that all vaccinations are up to date and get your pet a health certificate for overseas moves within 10 days of leaving the country, so book this appointment early. Using a military vet for required paperwork is ideal, as they are well versed in what’s required. You’ll also need to check in with the Veterinary Treatment Facility at your new base on arrival. Update your pet’s ID tag with current information (this can also be put on a leg band for birds). It's also wise to take a photo of your pet(s) to keep on your phone. To sedate or not? It’s not recommended to sedate your pet if they will be flying in the cargo hold of an airplane. Check with your vet about recommendations for your situation, especially if your animal is easily stressed. Hand carry meds such as monthly heartworm pills and flea and tick medications. And make sure the pet food isn't accidentally packed with your household goods! Pets can be stressed during a move and may not eat much. Cats and dogs may respond to special treatment, such as pouring broth over their food or extra treats. 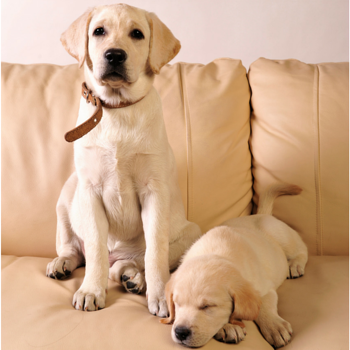 You may wish to leave your pets with a trusted friend for the day or two that the movers are in the house. 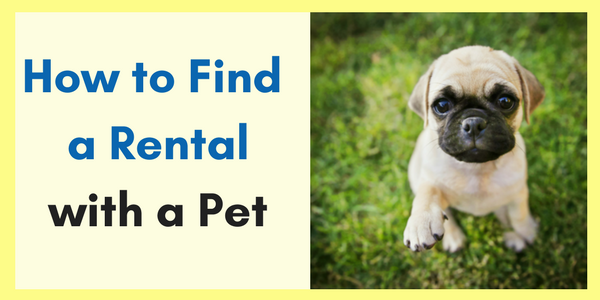 It will likely be easier for both of you and reduce the likelihood that your pet could accidentally get out of the house through an open door. A PCS with pets brings with it many considerations, and MilitaryByOwner offers helpful tips on transporting pets and moving overseas with a pet. What tips would you add? Thanks to MilitaryByOwner staff writer Danielle Keech for contributing tips for this post!